Good business on a planet in balance. We help our clients towards sustai­na­bility and increased profi­ta­bility through analysis, commu­ni­cation and business deve­lopment. We work in the inter­section of policy, research and business. At 2050 we have vast experience in environmental and sustainability work; how to create business opportunities; how to show management the possibilities in the green economy; how networks are created and managed; how footprints are calculated; how emissions targets are formulated and met; how offset is best designed and how issues are communicated. We are convinced that the best choice for the environment is also the best choice for business. We are eager! 2050 is our outlet to channel our commitment, our expertise and our energy for envi­ron­mental and climate issues. Our slogan is: “Fast forward to a greener future”. Together, we have vast expe­rience on envi­ronment and sustai­na­bility; how to created business oppor­tu­nities; how to show mana­gement the possi­bi­lities within the green eceonomy; how networks are created and managed, how foot­prints are calcu­lated, how emis­sions targets are formu­lated and met, how offsets are best designed and how issues are commu­ni­cated and advocated. Dang­erous human impact on the climate should be stopped before 2050. We are helping companies, orga­ni­za­tions, autho­rities and indi­vi­duals to become winners in the tran­sition to a sustai­nable deve­lopment. Click here to see the short film that describes the paradigm shift facing mankind. Capa­bi­lities: Commu­ni­ca­tions, advocacy, public speaker, marketing, lecturer, brand strategy, mode­rator. Expe­rience: Several CEO posi­tions in content marketing, editor in chief, science jour­nalist speci­a­lized in biology and medicine, novel author. Capa­bi­lities: project and opera­tional mana­gement, orga­ni­za­tional deve­lopment, SDG, sustai­nable deve­lopment strategy. Expe­rience: Director at PwC, program manager at the Diakonia South Africa office, broad inter­na­tional expe­rience through deve­lopment project in Africa, Asia and Latin America. 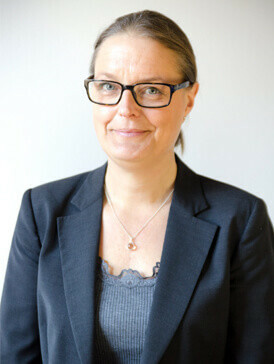 Ulrika has over 20 years’ expe­rience as accountant and advisor, primarily focusing on internal steering and control, mana­gement and orga­ni­za­tional deve­lopment, project steering, assessment and anti-corruption. Her most recent work was at PwC where she was a Director with business area respon­si­bility, pursuing issues regarding inter­na­tional deve­lop­mental coope­ration in Sweden and inter­na­tio­nally. Further, Ulrika has worked as admi­nist­rative official at the Diakonia regional office for southern Africa, focusing on human rights, democracy issues and capacity support. Within the scope of her assign­ments within inter­na­tional deve­lopment, Ulrika has worked with UN’s Sustai­nable Deve­lopment Goals. Capa­bi­lities: Sustai­nable business deve­lopment, mana­gement and strategy, project mana­gement, inno­vative processes, bio coal. Expe­rience: 5 years’ expe­rience as CEO of a fast-growing agro­te­ch­nical company, sustai­na­bility business project leader and consultant, inter­na­tional expe­rience from East Africa. Capa­bi­lities: Analysis and calcu­lation related to climate, envi­ronment and energy, reports and audits, lecturer. Expe­rience: +20 years’ consulting in climate, envi­ronment and energy at ÅF, FVB, Tricorona and other. Founder of 2050. Expert in climate analysis and reporting according to the GHG Protocol. 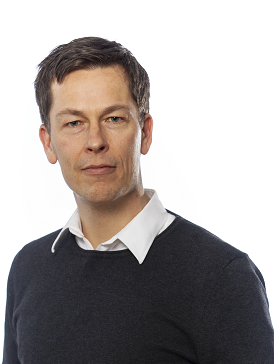 Göran has a Master’s Degree in engi­ne­ering with focus on power and heat production. 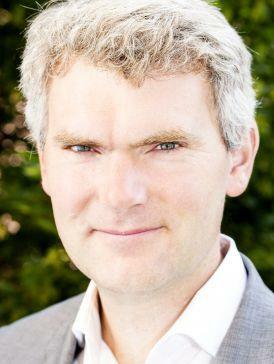 He has over 15 years of consulting expe­rience in energy and climate issues, and with special expertise in the calcu­lation and reporting of green­house gas emis­sions. Göran has parti­ci­pated in the deve­lopment of the Green­house Gas Protocol, product-specific rules for EPD and ISO stan­dards. He act as expert support as well as carry out calcu­la­tions and advanced studies for stra­tegic deci­sions. Past and present clients include companies in most sectors, such as energy, real estate, trans­por­tation, food , ICT and media. Capa­bi­lities: Business and leadership deve­lopment, public speaker, mode­rator, lecturer, sustai­nable deve­lopment strategy. Expe­rience: CEO at fast-growing service sector companies (incl. three Gasell), 10 years’ expe­rience from leading posi­tions in IT, 15 years’ expe­rience from energy, trans­por­tation and commerce. 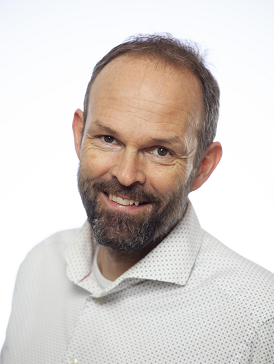 Markus Ekelund has over 15 years of expe­rience in business deve­lopment and last year on the basis of sustai­nable business models. In 2014, Markus took up several reports focusing on how companies can become more profi­table by integ­rating sustai­na­bility into their business deci­sions. 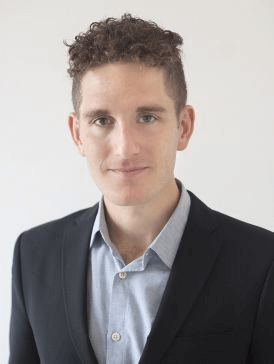 During 2011–2013 he led the mana­gement consulting firm Frontit to the DI Gazelle company for three consecutive years in a row. 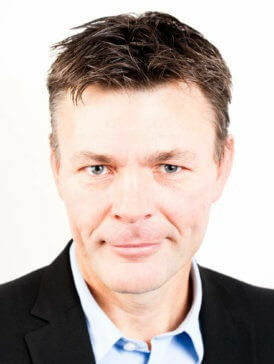 Markus also has ten years of expe­rience in senior roles within IT, including the global infrastructure manager at H&M. Capa­bi­lities: Business deve­lopment, advocacy, networks, public speaker, mode­rator, lecturer. Expe­rience: Rene­wable transport fuels, energy systems, waste management/recycling, SDG. +10 years’ expe­rience from sales and marketing in telecom. Secretary General for Operation Smile. 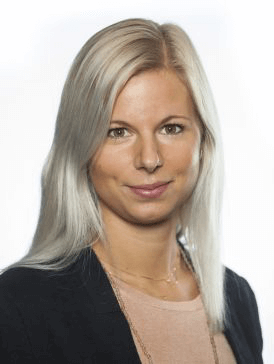 Senior Advisor and Head of the Network Cleantech Öster­götland, a cluster initi­ative for envi­ron­mental tech­nology companies in eastern Sweden. Malin has over 20 years of expe­rience in the tele­com­mu­ni­ca­tions industry and non-profit world. Malin has previously worked in sales, marketing, product mana­gement and business deve­lopment at Ericsson for twelve years, partly with Argentina and Mexico as a base. As Secretary-General Malin built up Operation Smile in Sweden, a medical relief orga­ni­zation that helps children born with cleft lip and cleft palate. Malin is based in Linköping where Malin devotes a large part of the time for managing and deve­loping the Cleantech Öster­götland. Capa­bi­lities: Policy deve­lopment, advocacy, networks, public speaker, mode­rator, lecturer, sustai­nable deve­lopment strategy. 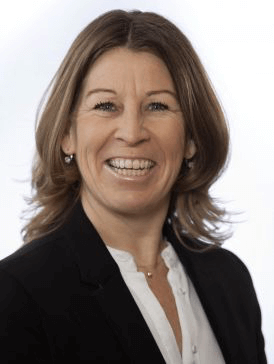 Expe­rience: Haga Initi­ative Executive Director, +20 years with climate issues at the Swedish Envi­ron­mental Protection Agency, the Prime Minister’s office, Stockholm Resi­lience Centre etc. Nina Ekelund is the Executive Director of the Haga Initi­ative and is also the Chairman of the board and partner at 2050 Consulting. 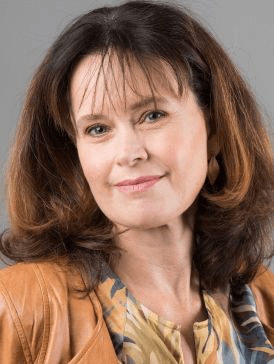 She has earlier been a poli­tician and has served as an executive board member of the Christian Democrats and has also worked at the Prime Minister’s Office. 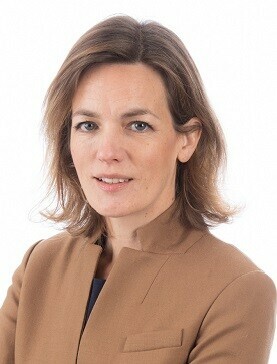 She has also worked at Swedish Envi­ron­mental Protection Agency and the Envi­ron­mental Admi­nist­ration in Stockholm. 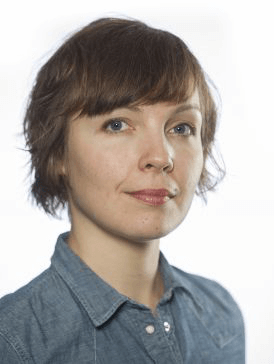 During 2015 and 2016 Nina was an expert Cross-Party Committee on Envi­ron­mental Objectives (Miljömåls­be­red­ningen), respon­sible for setting new climate targets for Sweden. Capa­bi­lities: Envi­ron­mental systems analysis tools, energy systems, rene­wable energy, urban deve­lopment. Expe­rience: M.Sc., Energy and Envi­ron­mental Mana­gement, Linköping University. Master thesis: sustai­nable urban deve­lopment, densi­fi­cation and ecosystem services. Linnea recently finished her M.Sc. in envi­ron­mental and energy systems engi­ne­ering at Linköping’s University. As part of her Master she also studied one semester abroad at the University of Iceland in Reyk­javik. Linnea’s Master thesis focused on sustai­nable urban deve­lopment, more speci­fi­cally iden­ti­fying conflicting goals and synergies between densi­fi­cation and deve­lopment of urban green structures in order to present recom­men­da­tions for imple­men­tation of ecosystem services tools in the muni­cipal urban deve­lopment process. 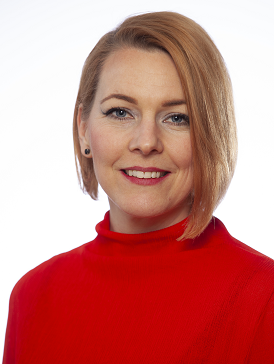 Linnea became part of 2050 in September 2018 and works primarily within analytics. Capa­bi­lities: Life cycle assessment, circular economy, envi­ron­mental mana­gement, climate analysis, reporting, audits. Expe­rience: B.Sc., Energy and Envi­ron­mental Mana­gement, the Royal Institute of Tech­nology. Master thesis: sustai­na­bility and LCA at Nudie Jeans (Swedish jeans brand). Emma recently graduated from the master’s programme in Sustai­nable Tech­nology at KTH Royal Institute of Tech­nology and holds a bachelor’s degree in Energy and Envi­ronment. Her focus lies on envi­ron­mental mana­gement and life cycle assessment. Emma did her master thesis at the Swedish jeans producer Nudie Jeans where she performed an LCA of several products and analyzed their envi­ron­mental sustai­na­bility targets, in order to provide guidance on how to stra­te­gi­cally prio­ritize their efforts. Capa­bi­lities: Advocacy and policy, sustai­nable deve­lopment strategy, envi­ron­mental economics and law, mode­rator, lecturer. Expe­rience: Ph.D., Envi­ron­mental and Energy Systems. Agro­nomist, professor. Former chair for the Swedish Society for Nature Conser­vation and the EEB. +20 years with envi­ron­mental issues. Senior partner with over 20 years of expe­rience in envi­ron­mental orga­ni­za­tions and envi­ron­mental research. Mikael was chairman of The Swedish Nature and Conser­vation Society (SNCC) between 2002 and 2014 and currently leads the European Envi­ron­mental Bureau, the EU’s largest envi­ron­mental orga­ni­zation. Mikael is rese­ar­ching sustai­nable deve­lopment stra­tegies in both politics and business, among other things related to energy chemical and marine envi­ron­mental issues . He is active in the Government’s Envi­ron­mental Objectives Prepa­ration and has worked in a number of expert groups, including the European Commission’s high-level groups on resource effi­ciency and climate and compe­ti­ti­veness. Capa­bi­lities: Business and leadership deve­lopment, process/ project manager, networks, public speaker, mode­rator, lecturer. Expe­rience: Marketing director, head of sales, CEO and stra­tegic project leader in adver­tising. Mana­gement board expe­rience. Trained process leader within stra­tegic planning. 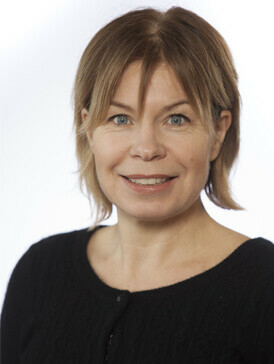 Senior consultant and project manager for Östgö­taut­ma­ningen. 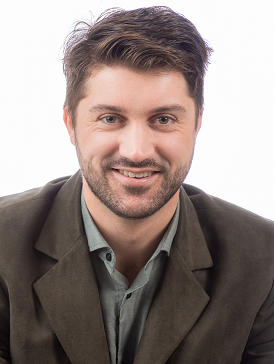 Peter has more than fifteen years of expe­rience working for a manu­facturing company, and seven years within consulting, where he has been working with business deve­lopment, commu­ni­cation, brand mana­gement, business planning, sales mana­gement, process effi­ciency and employer branding. He has held a number of mana­gerial posi­tions, such as CEO, marketing director, sales manager and stra­tegic project manager. Capa­bi­lities: Process and project mana­gement, envi­ron­mental and climate strategy, network, commu­ni­ca­tions, lecturer. Expe­rience: +20 years’ expe­rience with Linköping municipality’s climate and energy strategy. Project leader Science Park Mjärdevi, start- and scale-ups. High­school / university lecturer. Capa­bi­lities: Socio-economic analysis, ESG- and risk analysis, business deve­lopment, envi­ron­mental economics, SDG. Expe­rience: Sustai­na­bility stra­tegist at Folksam, ESG analyst at Sustai­na­lytics, sustai­nable inve­ste­ments analyst at Progress Capital. Speci­alist in TCFD and SDG in finance and insu­rance. Consultant and envi­ron­mental economist with a back­ground in the financial sector. Jannike has previous expe­rience as an analyst for respon­sible invest­ments in Africa and as an ESG-analyst at Sustai­na­lytics in Amsterdam. She has a bachelor’s degree in economics from Uppsala University and a master’s degree in envi­ron­mental economics and mana­gement from the Swedish University of Agricul­tural Sciences. Jannike’s degree project focused on assessing companies’ envi­ron­mental perfor­mance based on monetary costs of CO2 emis­sions as well as analyzing asym­metric infor­mation in the financial market. She has also committed herself to non-profit projects with AIESEC such as Energy Cross­roads and as a volunteer in Kampala, Uganda. Capa­bi­lities: Business deve­lopment, mana­gement and strategy deve­lopment, networks, SDG, analysis. Expe­rience: Haga Initi­ative coor­di­nator. Stockholm Exergi, business deve­lopment. Internships at EnBW (Germany) and TRINE. Master thesis: SCA Timber, sustai­na­bility strategy. Victor is a recent graduate within the field of Energy, Envi­ronment and Mana­gement Engi­ne­ering. His focus lies within business deve­lopment for orga­ni­sa­tions to identify new inno­vative business possi­bi­lities on problems related to sustai­na­bility. Victor has previous expe­ri­ences of business deve­lopment and sustai­na­bility from both start-ups as well as at larger Swedish and German industry companies. Capa­bi­lities: Trade policy, climate nego­ti­a­tions, policy deve­lopment, public affairs, lecturer, sustai­nable deve­lopment strategy. Expe­rience: Group mana­gement, program director at the ICTSD (Swit­zerland). Climate Stra­tegies member. National Board of Trade, adviser. Institute for Food and Agricul­tural Economics, expert. Ingrid has a master’s degree in poli­tical science and a master’s in inter­na­tional rela­tions from the Fletcher School in Boston. She has several years’ expe­rience working with issues pertaining to global sustai­nable deve­lopment, focusing mainly on trade politics, including assign­ments from WTO, OECD, UNFCCC as well as other units within the UN. Her most recent work was with an inter­na­tional think tank in Geneva, ICTSD, where she headed the program for climate and energy and she has also worked for several Swedish government agencies. Capa­bi­lities: Passenger transport, analysis and calcu­lation related to climate, envi­ronment and energy, energy systems, supply chain. Expe­rience: B.Sc., System in Tech­nology and Society at Uppsala University. Master thesis: auto­nomous vehicles in rural public transport. Climate calcu­la­tions at Daniel Wellington. Capa­bi­lities: Business and leadership deve­lopment, brand strategy, inno­vation, marketing, digi­ti­li­zation. Expe­rience: Marketing director, head of commu­ni­ca­tions, sustai­na­bility, R&D and procu­rement at Skåne­me­jerier. M.Sc., Business and Economics, Lund University. Caroline has over 25 years’ expe­rience from group-wide strategy work, sustai­na­bility work, brand building, commu­ni­cation and inno­vation within the food supply sector. Her most recent work was a position as marketing director for Skåne­me­jerier, where she also has held several executive board posi­tions. Caroline has a genuine commitment to building profi­table and relevant value for both companies, it’s employees and it’s customers from a sustai­na­bility perspective. Capa­bi­lities: Analysis and calcu­lation related to climate and water, audits, supply chain, software deve­lopment, lecturer. Erfa­renhet: Supply chain, project mana­gement and enter­prise resource planning at Accenture etc. Supply Chain Controller at T2-Tea (Australia), procurer at Think (Norway). Consultant with a back­ground in purchasing, supply chain and imple­men­tation of business systems. 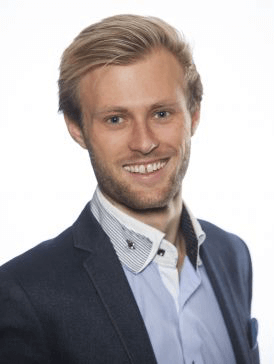 Henrik comes from Accenture in Stockholm, where he has been a consultant with a focus on procu­rement, project mana­gement and business systems. Previously, he worked as a Supply chain controller at T2-Tea in Melbourne and as purchaser for electric car manu­facturer Think in Oslo. Henrik has an engi­ne­ering degree from the University of Lund with speci­a­li­zation in Envi­ron­mental systems analysis. At 2050 Henrik works with analysis, calcu­lation and business deve­lopment. Capa­bi­lities: Socio-economic analysis, policy instru­ments, envi­ron­mental economics, green finance, public speaker, lecturer. Expe­rience: Research coor­di­nator and report writer at Haga Initi­ative. Data base coor­di­nation at the UNFCCC. Business jour­nalist at news agency Siren. Consultant and envi­ron­mental economist with a back­ground in jour­nalism. 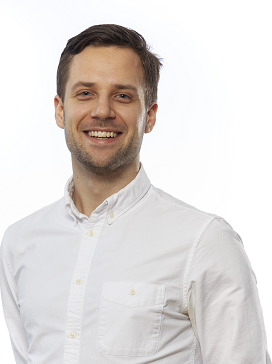 Nils recently graduated from the master’s programme in Economics at the Stockholm School of Economics and has a particular interest for ques­tions about ecosystem services and how welfare is measured. In his voluntary work for the Swedish Society for Natural Conser­vation Nils has been involved in a project about how more sustai­nable financial products can be made avai­lable to customers. 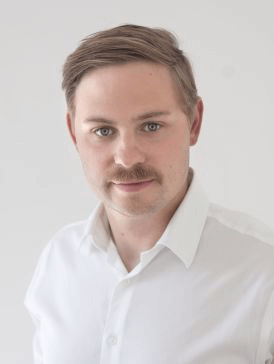 In addition to this, Nils has been an intern with the UN climate change secre­tariat (UNFCCC) in Bonn, Germany, as well as the green think tank Carbon Talks in Vancouver, Canada, and he has worked as a business and finance reporter with the news agency Siren in Stockholm. Capa­bi­lities: Sustai­na­bility reporting, commu­ni­cation and analysis. SDG, GRI, CDP, DJSI. Public speaker, lecturer. Expe­rience: Value chain sustai­na­bility in manu­facturing, energy, gaming indu­stries etc. Sustai­na­bility workshops and trai­nings. MBA. Internships at Novo Nordisk (Denmark), E.ON. 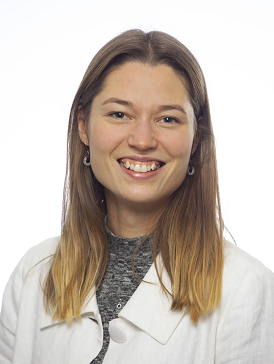 Anna is a consultant with broad expe­rience of sustai­na­bility work at companies and orga­ni­za­tions from a variety of indu­stries — polymer tech­no­logies, IT, gaming, phar­ma­ceu­ticals, waste mana­gement, and energy. 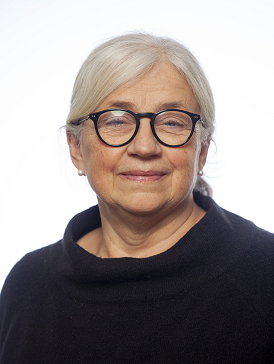 Anna speci­a­lizes in sustai­na­bility reporting according to GRI, UN Global Compact and other inter­na­tio­nally accepted stan­dards and guide­lines. Her academic back­ground is in commu­ni­ca­tions, languages and sustai­na­bility reporting. Anna has wide know­ledge of the market and sustai­na­bility trends in southern Sweden. 2050 is an environment and climate-driven company. We strive to reach a society where the global temperature rise is halted. Here you will find our environmental policy and our own climate report. We are convinced that it is easier to speed up the tran­sition to sustai­nable deve­lopment when climate and envi­ron­mental issues are discussed exten­sively. When the big ques­tions are ignored by the media, the policies become more short-sighted and myopic. Therefore, we want to be active in the public debate, and encourage all employees to raise their voice, both as part of 2050 and in other sectors. We are convinced that it will benefit our partners, because if we ourselves are part of the debate, we can be more helpful as advisors. In the press room you will find what we have written ourselves and what is published about us, as 2050. Here you will find our articles avai­lable in English. For a full selection of articles, please visit our Swedish page. You can also find us on Mynewsdesk.se. You can also find our press releases on Mynewsdesk.se. Here you will find high and low reso­lution images of the employees at 2050.